I am posting the question paper of Interaction design asked in 2016. 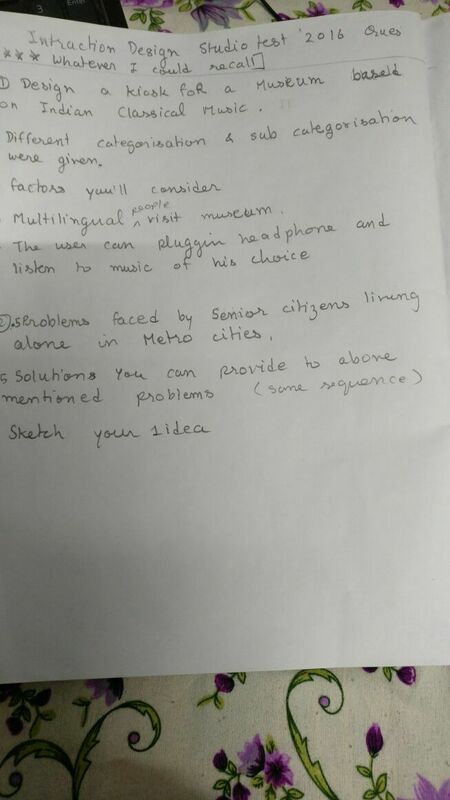 Please note:"It's not complete question paper, These are only questions which I remembered out of 4 or 5 questions"
Also during portfolio presentation, will there be projector and screen for us to present digital works ? In some institutes there is a projector available, however, in some it isn't there. Be prepared to show your work on your own laptop or in person.